We are a family of believers seeking to glorify God and make disciples of Jesus Christ. 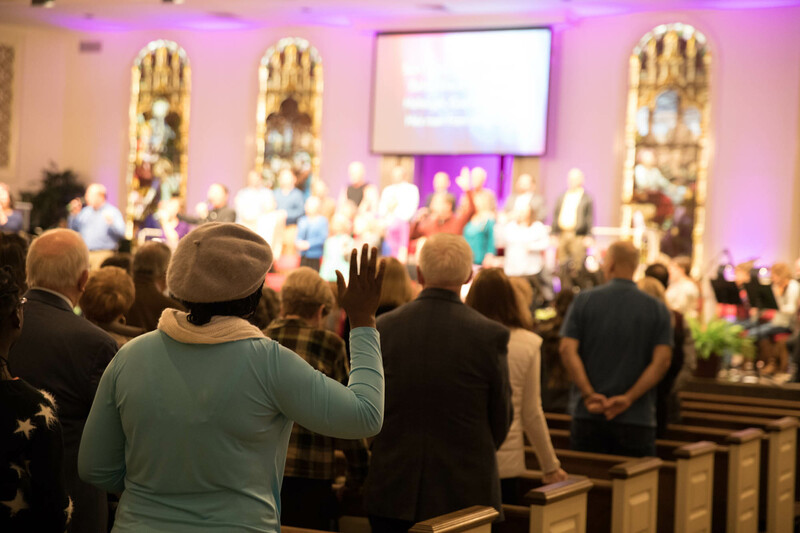 We want to be a church where the gospel is proclaimed, relationships are genuine, and all kinds of people worship God and live on mission for Jesus. We would enjoy having you with us! Make your way to exit 20A, which is the State Hwy 60 East / Shelbyville Road East / Middletown exit. Drive east on Shelbyville Road past the Oxmoor Center Mall. 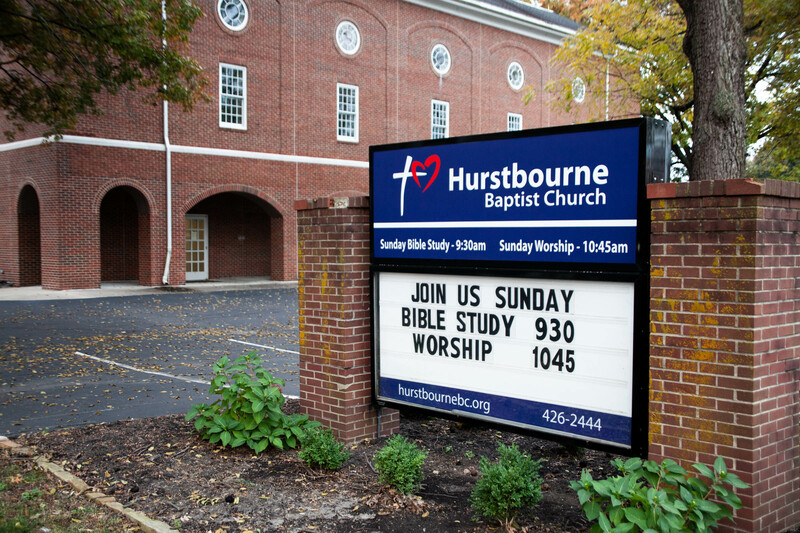 Look for Hurstbourne Baptist Church on your right approximately 1 mile east of Oxmoor Mall. As you pass the church, turn right onto Chadwick Road, and take the next right into our parking lot. Make your way to Shelbyville Road and turn west. Drive west on Shelbyville Road past P.F. Chang’s. Look for Chadwick Road on your left about 1/2 mile west of P.F. Chang’s. Turn left onto Chadwick Road, and take the next right into our parking lot. We have no “code” when it comes to dressing for Sunday morning. Some people wear suits or dresses, some people wear jeans, and lots of people wear slacks or skirts. Just wear whatever you feel comfortable wearing to church. We have dedicated visitor parking right in front of the Welcome Center, and convenient accessible parking located throughout. After you enter the Welcome Center, visit our information desk with friendly volunteers ready to help you. 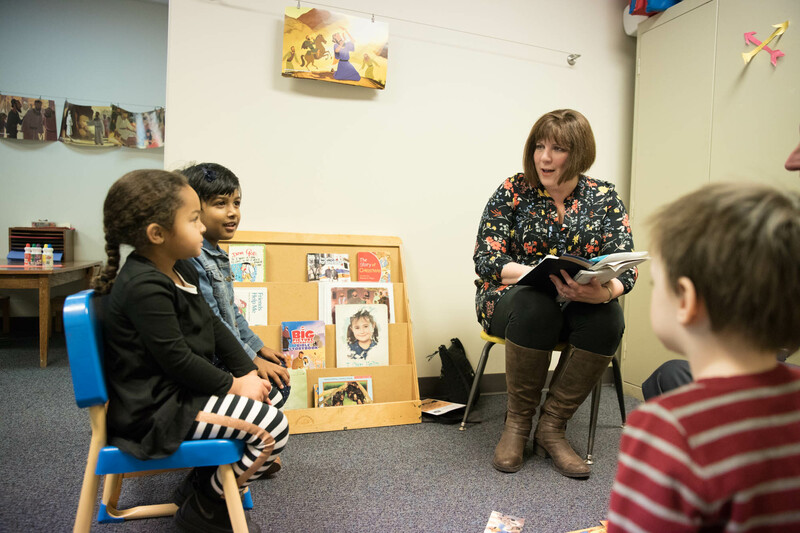 We have Sunday School for all ages! 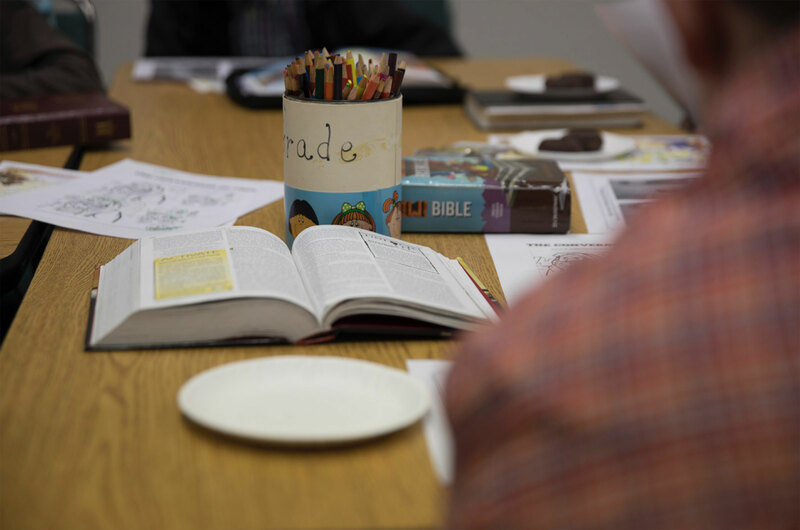 The Welcome Center can direct you to Sunday School classes that most closely fits your stage of life. You can check in your kids in our HBC Kids area, where our dedicated volunteers and Pastor Vince share the gospel in a way that kids can understand. For the health and well-being of your kids, please alert us if they have any food allergies or special needs. Our middle and high-school students gather in our HBC student area (affectionately called “The Pit”), led by our dedicated volunteers and Pastor Chase. If you have kids in 2nd grade or younger, they can remain in our dedicated HBC Kids area for more playtime and fun gospel-centered stories. If you have children in 3rd grade or higher, they are welcome to accompany you to Worship. When you enter the Worship Center, you should receive a worship guide that contains current information and events at HBC. The first half of Worship focuses on singing to God and singing about God. The second half of Worship focuses on a sermon from the Bible. The end of the sermon usually includes an invitation to respond (either privately or publicly) to the Biblical message. After the sermon, we take up an offering, recognize any decisions or announcements, and then dismiss. We usually have a closing invitation where we invite people to respond to God by believing the good news of Jesus and following God’s Word given in the Bible. 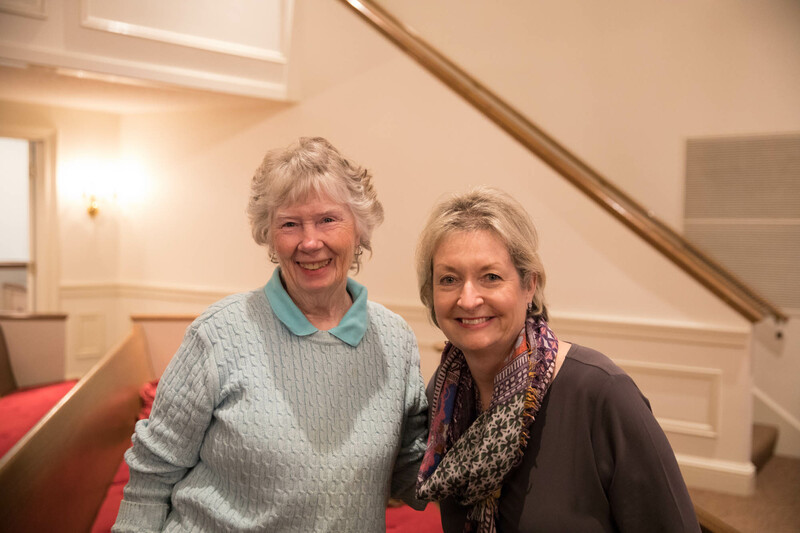 If you wish to talk or pray with someone about a spiritual decision, our pastors will be down front during the invitation and after the service. 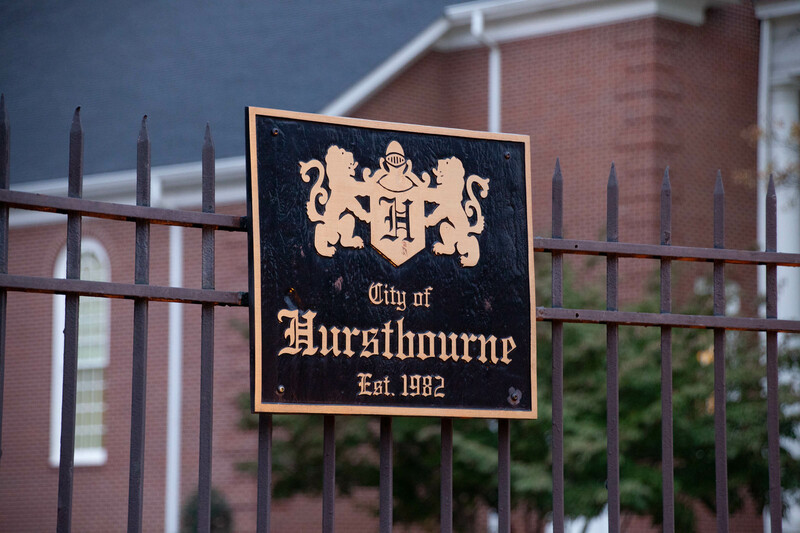 If you are interested in becoming a member of HBC, please see one of our pastors after the service or contact them during the week. They would enjoy meeting with you and explaining more about membership. You can also sign up for one of our Exploring Membership luncheons that we offer periodically for anyone interested in HBC.